Midna and Zelda are two princesses who were thrown together in a desperate effort to save both of their kingdoms from a force that sought to destroy them. Our story picks up just as they've succeeded, but in order to prevent such a tragedy from ever happening again, they now face the prospect of having to close the door between their worlds... forever. 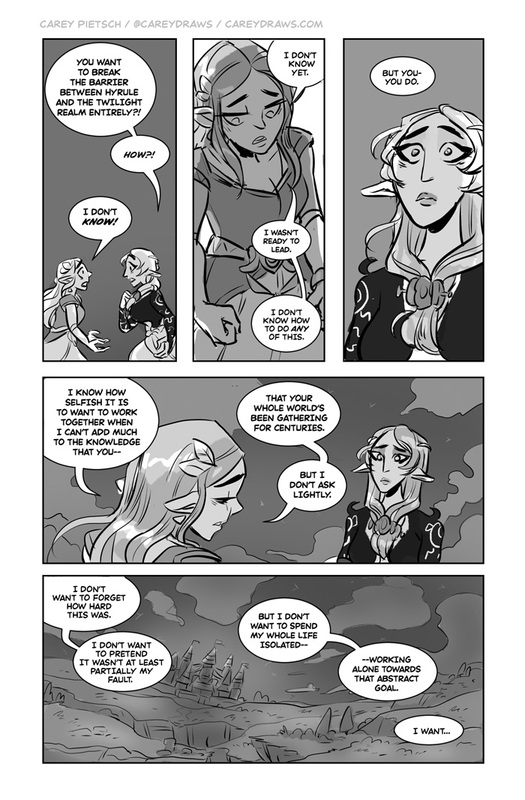 You can buy the anthology that this comic was a part of, with all proceeds going to the Trevor Project, online here, or read the whole thing in one scrollable post on my patreon here.